Anyone who has worked with Elliott Williams knows he is a natural-born mediator. To every case he brings professional rigor and personal compassion. He exemplifies what it means to be a “counselor,” as both a skillful attorney and a wise advisor. His congenial presence immediately inspires trust. 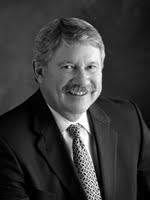 In his forty-two years of practice, Elliott has handled over 2000 medical malpractice cases, and participated in countless mediations. His knowledge of both the law and the practice of medicine enables him to quickly size up a situation and get right to the heart of the matter. He knows how to listen, how to acknowledge conflicting positions, and how to validate the range of emotion involved in contentious disputes. At the same time, he is able to move the conversation from personalities to the problem at hand. “I make a point of taking a personal interest in both sides of a dispute.” In fact, of the many satisfactions of his distinguished career the most gratifying is the appreciation from opposing parties for his concern and empathy. For Elliott, exercising his gift for mediation is both the continuation and culmination of a career devoted to finding fair and equitable resolutions to difficult disputes. Elliott is available for medical malpractice, personal injury and wrongful death mediations and arbitrations.